Potentially big international news is brewing Wednesday morning, and it could herald the shakeup of an over five decades-long embargo. That's right — the U.S. is seeking normalized relations with Cuba, following news that 65-year-old American Alan Gross will be released from Cuban prison, as well as the release of three convicted agents from the so-called "Cuban Five," who've been imprisoned in the U.S. for over ten years. The process is already making historic headway — Tuesday featured the first direct contact, via phone call, between an American president and Cuban leader since the 1959 Cuban revolution. In short, after a long 55 years or so, it sounds as though the ice is finally beginning to thaw. By no means would this move come without considerable controversy. In spite of the fact that the U.S. has entertained relations with several different nations with human rights records every bit as bad as those of the Cuban government, if not worse — the engagement of necessity we maintain with China, for example — the U.S. is still home to a considerable community of Cuban ex-pats and anti-Castro sentiment, especially in Florida, and some Republican legislators have already begun rattling sabers. Florida Senator Marco Rubio, for example, called President Obama the "worst negotiator" Wednesday, and vowed to attempt to block any restoration of diplomatic relations. It's not strictly a partisan affair, either — Democratic New Jersey Senator Bob Menendez has also blasted the prisoner exchange, and the promise of new relations, saying that trading Gross for the three Cuban agents set a "dangerous precedent." President Obama's actions have vindicated the brutal behavior of the Cuban government. There is no equivalence between an international aid worker and convicted spies who were found guilty of conspiracy to commit espionage against our nation. ... Trading Mr. Gross for three convicted criminals sets an extremely dangerous precedent. It invites dictatorial and rogue regimes to use Americans serving overseas as bargaining chips. I fear that today’s actions will put at risk the thousands of Americans that work overseas to support civil society, advocate for access to information, provide humanitarian services, and promote democratic reforms. U.S. officials, for their part, have attempted to clarify the notion that the prisoner swap is actually Gross in exchange for the three agents. As sources told CNN, Gross' release was actually on "humanitarian" grounds, and another U.S. agent imprisoned in Cuba — reportedly a high-value intelligence asset who's been stuck there for 20 years — will be returning home as well, completing the exchange. But make no mistake, the foremost result of all this would be a warming of diplomatic relations between the two countries. 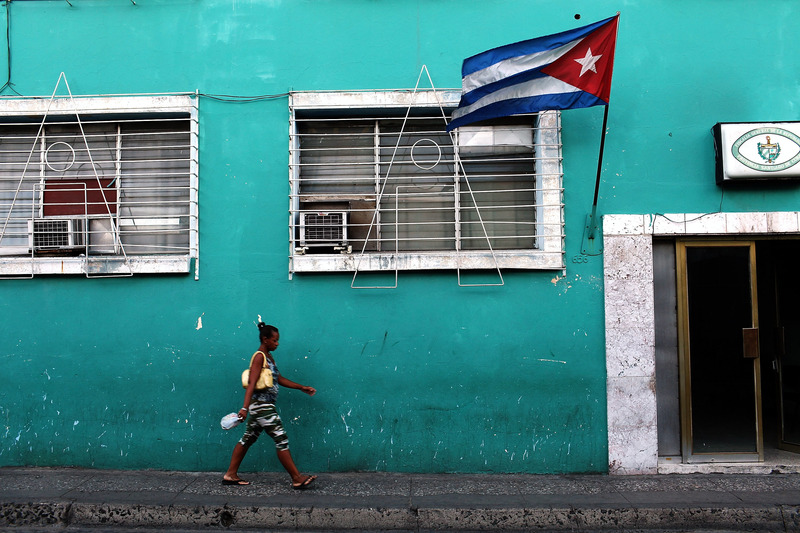 Cuba has long been under U.S. embargo, restricting the flow both of goods and travel between the two nations, and a change to that reality would be as seismic a shift as is possible in U.S./Cuban relations. Cuba has been ruled by one of the Castro brothers for a staggering 55 years, with Fidel stepping down in 2008 to give way to his younger brother Raul, who's now 83. It'll be highly illuminating to see how this process goes, if indeed a lifting of the longstanding embargo is in the cards — it's become clear through opinion polling in recent years that Americans are ready for relations to be normalized, with Floridian Cubans increasingly coming around to ending the embargo. Of course, as Obama noted in his remarks on the news today, actually lifting that embargo isn't something he can do unilaterally — it requires cooperation from Congress, a Congress which will soon be entirely Republican-controlled. As such, this is a process that's just getting started, and figures to be arduous.